Julian was just like most other 14 year old boys — energetic, fun loving and sports-minded. Julian did not want to re-experience last year. Athletically, he was on top of the world… starting in football, basketball, and baseball. Academically, the world was on top of him…beleaguered with low grades, discipline problems, and missing homework assignments. Because of the latter, the school stopped him from stepping foot on the field of dreams and told him to study harder. Just when he thought things could not get any worse, they did. His parents enrolled him in a popular motivational tutoring program, which promised better study skills, better organizational skills and better grades. Although he didn’t like it, this was his ticket to the athletic field. Yet after six long months, his grades still had not improved, and he was again unable to play sports. Discouraged and defeated, his confidence shrunk even further. Julian went from someone who made academic mistakes, to feeling like he was a mistake. Upon completing an assessment, we realized Julian did not have a motivational, organizational, or a study problem. Julian had ADHD, attention deficit hyperactive disorder. Following his diagnosis, we put together a treatment plan that addressed both his short-term and long-term needs. To meet Julian’s short-term attention needs, a physician prescribed medications to help him focus. For his long-term attention needs, we placed him on “Play Attention TM,” a computer-based attention training system that has been educationally proven to help children develop ther ability to focus, and reduce impulsivity. We also included learning style training to help him harness his natural style of learning, and parent training to reinforce the behavioral changes we agreed upon. In all, Julian began to better understand how ADHD was impacting his life, learned how to better manage the challenges related to the disorder, and developed his ability to focus. Twelve months later, Julian has taken control of his life and is off medications – and is doing well academically and athletically. This season his parents will proudly sit in the stands watching him play in his first high-school football game. Here are a few steps I recommend you take to help your son or daughter tackle ADHD. You must learn as much about ADHD as possible. Period! It is critically important to understand the challenges your child may face and the resources available. Know the teachers, the treatment team, and the law. I recommend the following book to any would-be parent advocate, “Special Needs Advocacy Resource Book,” by Michelle Davis. Before school starts, connect with your psychologist, physician, nutritionist, neuro-psychologist, and/or coach to plan for the upcoming year. Have them evaluate your child’s learning style, neurological functioning, strengths and limitations. If possible, select teachers that play to your child’s strengths. Also, talk to your providers about proper nutrition and computer-based attention training programs. While medications help manage the symptoms in the short-term, recognize that “pills don’t teach skills.” Sound nutrition, proven computer-based attention training programs, teaching children to maximize their learning style and building academic confidence permanently improves attention and teach skills necessary for success in the classroom and with friends. Beginning a week or two before school starts, re-adjust bed and wake-up times. With young elementary school aged children, eliminate the fear of the unknown by introducing them to their new school, teacher and bus schedule before the first day. Children with ADHD function much better if they know what to expect. In addition, let your child get comfortable with the new supplies, organizational and/or attention training systems they will be using this year. As you well know, children with ADHD are frequently impulsive and often seek immediate gratification. Accordingly, they tend to do best when given more immediate and frequent feedback and consequences. You might also consider using incentives before punishment, and striving for consistency. I also recommend the following book to any parent of a child with ADHD, “Taking Charge of ADHD: The Complete, Authoritative Guide for Parents,” by Russell A. Barkley, PhD. Although it may be difficult at times, try not to personalize your child’s problems or disorder. Inattentive and impulsive behaviors are common symptoms of ADHD, which experts conservatively estimate affect between 5 to 7 percent of school age children. Your child’s biggest liability may be their thoughts rather than their reality. Beliefs determine behaviors. If your child approaches the new school year with the fear that they are about to live out their worst nightmare, it will become a self-fulfilling prophecy. Be wise, be optimistic, and be loving. If you do not believe in them…why should they believe in themselves? I know it can be frustrating, but let your child know that whatever the school year may hold, “we will get through it together no matter what.” Let them know that you are in their corner… fighting with them, cheering for them and proud of them. Also, discover and teach them about some of the many extremely successful adults with ADHD. For a list of successful people with ADHD, you can go to the website for my book, www.Focus-book.com. 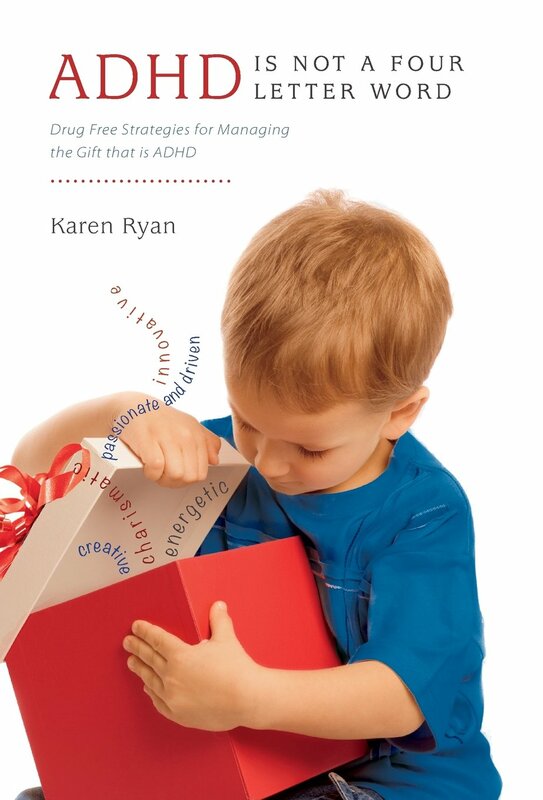 The book is entitled Focus: Unlocking the Secret Entrepreneurial Powers of ADHD. Contact CHADD (Children and Adults with ADHD), and join a support group. Also, pursue a hobby or some other personal passion you may have dropped over the years.